This design is made entirely in the embroidery hoop. 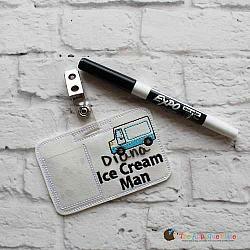 By using clear vinyl and dry erase markers, it can be used over and over! 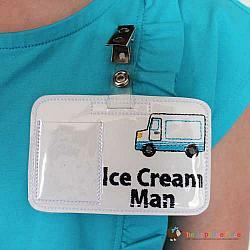 You can also add a name to personalize it. 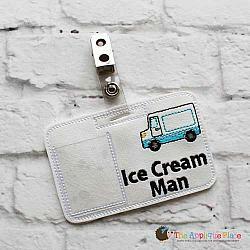 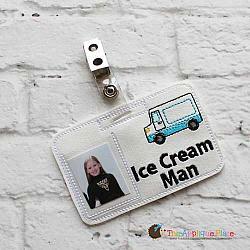 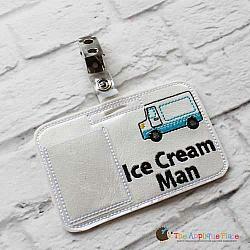 This also include the files to made an "Ice Cream Lady" Badge.